1/ For decades, on a regular bases, there are discussions about this question among professionals and some neophytes, people wondering which kind of thing a record is. And there is, since fifteen years, a ready-made answer with the official definition in ISO standard 15289: “information created, received, and maintained as evidence and information by an organization or person, in pursuance of legal obligations or in the transaction of business”. 2/ Involved in the standardization of records management for a long time and as a translator of the English version of ISO 15489 (2001) into French, I liked this definition. I do no more, I mean I like it not so much as before. What is wrong with this definition ? There are too many “and” and “or”: created, received, and maintained, evidence and information, organization or person, legal obligations or transaction of business. At the end, the definition encompasses too many situations and does not focus on the main issue: the value of the information object for its owner. The preposition I like in the definition is “as” (as evidence and information). 3/ According to Barbara Reed, the new version of ISO 15489 (work still in progress) has introduced the adjective “authoritative” to enforce the concept of record. An authoritative record is an authentic and reliable record, with integrity and useability. Non-authoritative records are supposed to be this information mechanically transferred to a place of storage regardless to its value. I understand in this point that the word record is no more self-understanding to mean “important information/document to be kept and retrieved”. 5/ Another comment on the current ISO definition is that it should be designed to be clearly understood everywhere, so that the right word (or expression) to translate “record” could be easy to find out in any language. 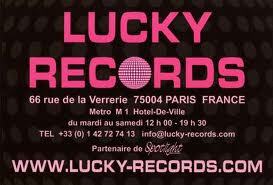 Whatever you name them, records exist everywhere. But the fact is that a couple of years ago, the French Agency for standardization, AFNOR, choose “document d’activité” as the French word for “record”. Despite French is my mother tongue and records management my business for years, I don’t understand what a “document d’activité” is… All documents are linked to an activity, aren’t they? It means everything, i.e. it does not mean anything. During my professional life, in the one hundred organizations I worked for, I have never heard this expression. The only results of this translation are that a) I do not trust AFNOR anymore; b) I am still awaiting a better definition to make it clearer to everybody. 6/ Looking after some news words to explain the concept, I noticed in one of the latest discussions, the following sentence from Luciana Duranti: a record is “a byproduct of [business], in a fixed form and stable content”. I like the word “byproduct”; it is very expressive (I think the best French word to translate it in this context is “trace”). Byproduct underlines that a record does not exist by itself but in relation to the process it comes from. This byproduct is the written evidence of an event. It is non only “maintained” as evidence or information; it states as evidence from the beginning; maintenance comes after. The fixed form and the stable content are the way to maintained this evidence. This is diplomatics. 7/ Going on, I wonder if it would not be more relevant to define a record in a subjective way than to look for an objective description. I agree with Luciana Duranti when she says (cf the same discussion) that “a record is what you consider as a record”. The question is: “Why should you consider this object as a record? And the answer is, in my opinion and experience: “because the lack of it pose a risk, or because its bad quality (lack of accuracy, completeness, fixity, metadata…) could be troublesome in the future. 8/ During the last decade, I have listen to French speaking people outside the field of records management (I mean engineers, lawyers, managers, technicians, assistants, and so on) and to the words they used to mean “this set of information likely to help in the course of business, in connection with regulatory environment and risk of litigation. The most frequent expression I have met in France and European entities is “document engageant” (the CR2PA members are familiar also with this expression). 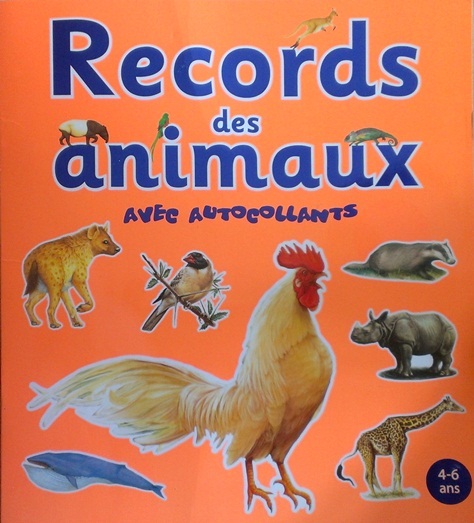 9/ That is the reason why, for an efficient records management, I prefer to use the following definition of “record”: (first in French) La trace écrite d’une action qui engage la responsabilité et dont la mauvaise maîtrise (conservation, accès) engendre un risque. I attempt to translate my definition in English: “The written byproduct of an accountable action, the mismanagement (retention/preservation and access) of which put you at risk” (to be improved). Ce contenu a été publié dans Définitions par Marie-Anne CHABIN, et marqué avec AFNOR, authoritative record, définition, document d’activité, document engageant, ISO 15489, Luciana Duranti, record. Mettez-le en favori avec son permalien.